What I thought was going to be a quick fix turned into a project and now I know how Dell laptop PSUs work. So if you enjoy complete overkill in what should have been a quick job then read on. Apologies for the rather long time between updates. I have been rather busy with other things. But I have not been ignoring the 3D printer. Fixing the overheating extruder stepper motor. Right, long overdue! I got the new hot end and have managed to burn through most of a 1kg spool of PLA. More little tweaks, a bit print and something properly broken! Ah, another Christmas and new years is behind us. I did get socks but I actually wanted them. I’ve been helping a friend fix an Audi RS6 and it has been a VERY messy job. I toyed with burning some of the clothes I was wearing while working on the Audi rather than washing them. 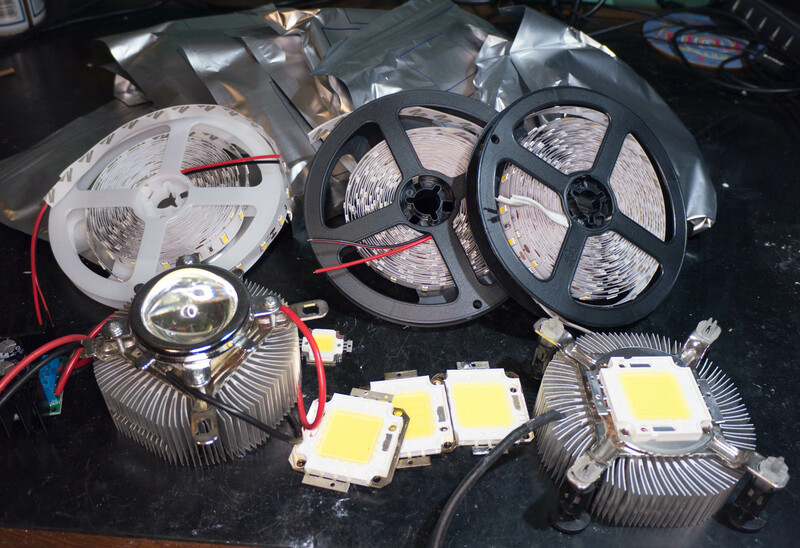 10W, 20W, 50W, 100W, 5m reels of LED strip. Yes, I’m up to something!